Virtually every major beauty brand has a range of creams and serums that promise to make the skin under your eyes smooth. Alas, it’s tempting to turn to more affordable beauty hacks, like smearing the hemorrhoid cream Preparation H on puffy eyes, in an emergency. But is Preparation H a real secret weapon or an outdated old wives’ tale? First things first: Puffy eyes can be incredibly difficult to treat, in part because they’re so common. Puffiness—which is swollen, often red skin under the eyes—is usually due to bloating, dehydration, fatigue, allergies, hormones, or genetics. Such a wide range of possible causes brings a similarly long list of possible treatments, and nothing will be effective 100 percent of the time for everyone. “It’s important to take an individual approach depending on what the problem is,” says Mary L. Stevenson, M.D., assistant professor in the Ronald O. Perelman Department of Dermatology at NYU Langone. In theory, Preparation H seems like it should work. The cream restricts the blood vessels, which can reduce redness, and it contains 1 percent hydrocortisone, an anti-inflammatory that in theory might temporarily reduce puffiness. But this is a time to heed the package’s warnings about proper usage and keep it off your face: Preparation H has a number of ingredients that can cause injury if you accidentally get some in your eye and cause extra irritation to the sensitive skin around the eyes. In fact, this is why the medicine’s makers explicitly caution against using it for puffy eyes. So what about using plain hydrocortisone cream? That’s also risky: As with Preparation H, you don't want to accidentally get the stuff in your eyes. In fact, the label on Cortizone 10 Anti-Itch Creme states that you should not use the product in, or near, your eyes. Also, prolonged use of topical steroids like hydrocortisone has been shown to cause skin thinning, increased skin fragility, enlarged blood vessels, and can even result in problems with your adrenal gland (the natural steroid producer in the body). Rest assured, however, there are products out there that are specifically formulated to bring temporary relief for puffy eyes, Stevenson says, such as products with caffeine, which can help constrict the blood vessels. You can also apply cool water compresses to the area, sleep with your head slightly elevated, and apply makeup and eye cream. 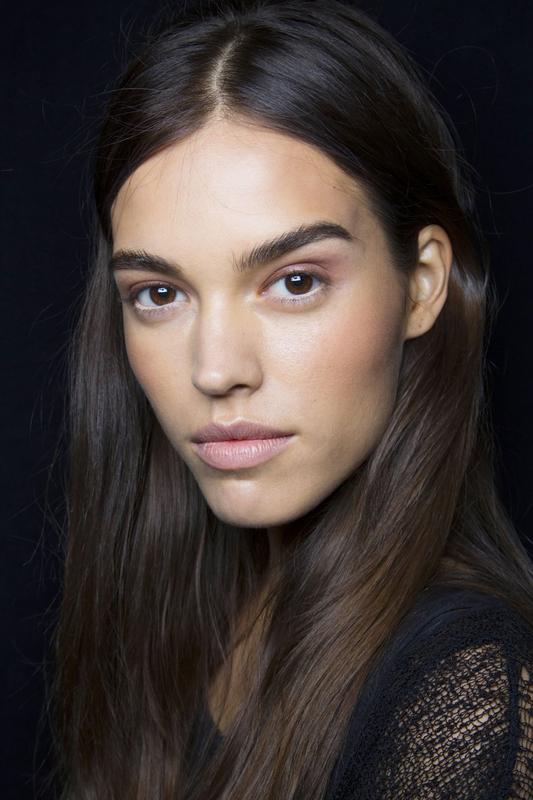 Look for eye creams claiming to be "firming" that can temporarily tighten skin. Get enough rest. Experts recommend between 7 and 8 hours nightly. Stay hydrated. Drink enough water and minimize intake of salty foods, which can also lead to dehydration and water retention. Wear sunscreen. “Puffiness around the eyes is a pretty common complaint, especially as we get older and lose support of muscle structure and fat,” Stevenson says. “Skin elasticity fails over time because of sun damage, this includes skin around your eyes,” The best defense against long-term damage and discoloration is to focus on consistent sun protection. Get checked for allergies. If you notice puffiness at certain times of the year, you may be prone to seasonal allergies. If puffiness is a year-round problem, you could be allergic to anything from airborne allergens, such as grass, to certain foods that are a part of your diet. Talk to your doctor about your concerns. Consider your other options. Puffy eyes and noticeable under-eye skin is hereditary for some people, and that’s OK. If a doctor cannot identify a medical cause and course of treatment for puffy eyes, it’s up to you what, if anything, to do to conceal their appearance. 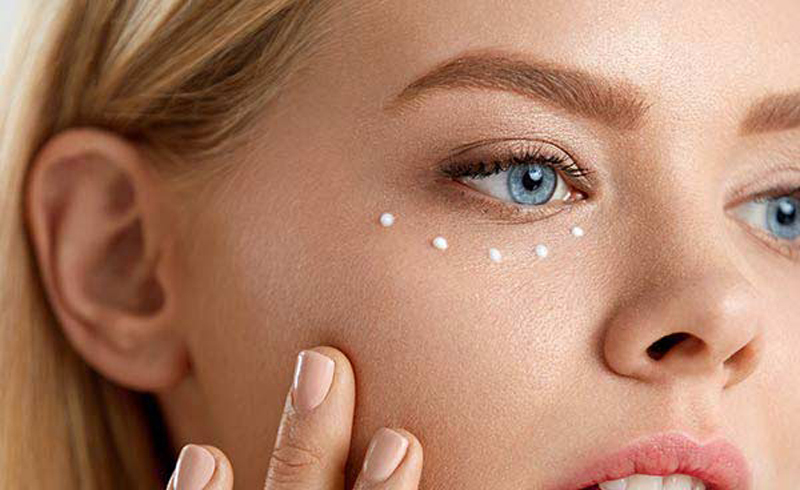 Whether it’s a large dose of concealer, eye cream, or a consultation with a board-certified professional about cosmetic options like fillers or lasers, there are many options better than smearing hydrocortisone near your eyes. U.S. Daily News: Does Preparation H Actually Help Treat Puffy Eyes?